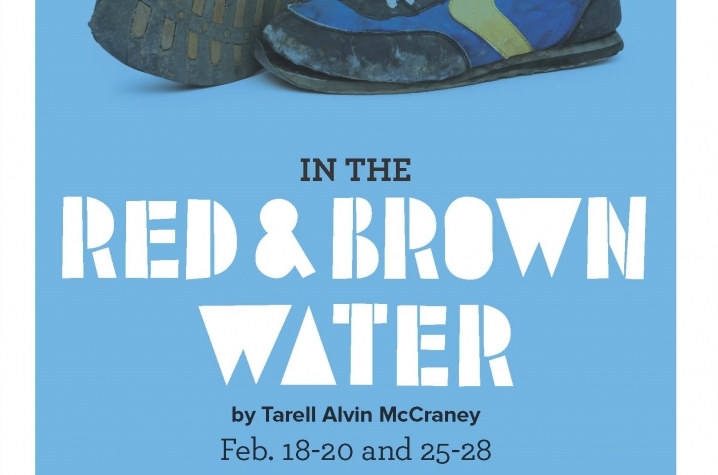 LEXINGTON, Ky. (Feb. 15, 2016) — The University of Kentucky Department of Theatre and Dance will present Tarell Alvin McCraney's "In the Red and Brown Water" Feb.18-28, at the Guignol Theatre. In this powerful play about choice, fleet-footed young athlete Oya is on the verge of womanhood, forced to make life-altering decisions. Does she escape fate by accepting a track scholarship at a state university or does she stay caught in the Louisiana projects to take care of her dying mother? And who will her heart choose, Shango, a military man, or Ogun, a down-to-earth businessman? Oya must come to terms with her identity, her sacrifice and her loss. "In the Red and Brown Water" is the first play in a trilogy of plays called "The Brother/Sister Plays." The second play, "The Brothers Size," premiered at Actors Theatre of Louisville a few years ago. "In the Red and Brown Water" premiered at the Alliance Theatre in Atlanta and was later produced at the Young Vic in London. The entire trilogy had its world-premiere at The Public Theatre in New York in 2009. Playwright Tarell McCraney is a recipient of a MacArthur Foundation genius grant. He's a resident member of Steppenwolf Theatre Company in Chicago and an alumnus of New Dramatists in New York. "In the Red and Brown Water" will take the Guignol stage 7:30 p.m. Thursday-Saturday, Feb. 18-20 and Feb. 25-27, and 2 p.m. Sunday, Feb. 21 and 28. Tickets for the production are $15 for general admission and $10 for students with a valid school ID through the Singletary Center box office. Fees will be added to purchase upon completion of transaction. To purchase tickets, contact the box office at 859-257-4929, visit online at www.scfatickets.com or purchase in person during operating hours. Strong language and sexual content are used in the production of "In the Red and Brown Water." Viewer discretion is advised.